You may think oh big deal right? Think of everything you wash... Where does it go all day? Your clothes touch your skin, your sheets that you lay on at night, and your pillow case. Do you really want to be sucking in those chemicals from other laundry detergents all day and all night? Or your kids? 24 hours a day, 7 days a week?? No? Not me either. Just google all the nasty chemicals in those store bought laundry soaps. Or even walk down that aisle in the grocery store! It is not a walk down a beautiful garden. It's totally synthetic. Growing up, I had sensitivities to different products ESP laundry detergent. My little girl also has skin issues which led me to essential oils nearly three years ago to effectively clear her skin up. So, I've always watched what we used. The first load smelled so fresh, ahhh... After a couple of loads, even my washer smelled super fresh. Anyone else fight with that all the time!? I love the fresh scent on the clothes and it has amazing essential oils in it among them Thieves! That's an amazing oil we use for maintaining our wellness too! 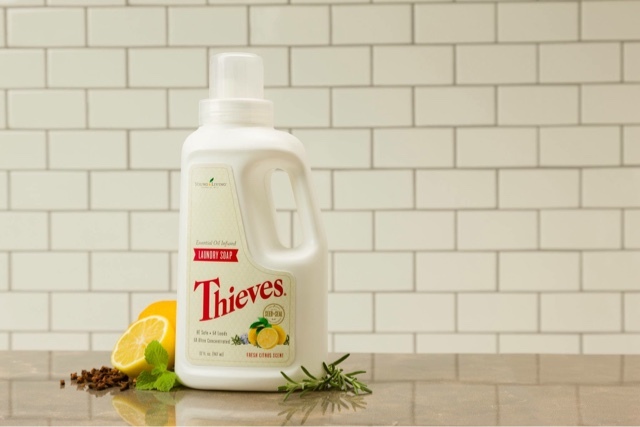 With a plant-based formula, Thieves Laundry Soap gently and naturally washes your clothes, leaving them truly clean without any synthetic residue. Natural enzymes and powerful essential oils add to the formula’s strength to leave your clothes fresh and clean with a light citrus scent. Top load washer 1/2 cap full; Safe for HE washer 1/4 cap full; Also good for handwashing. This is huge! 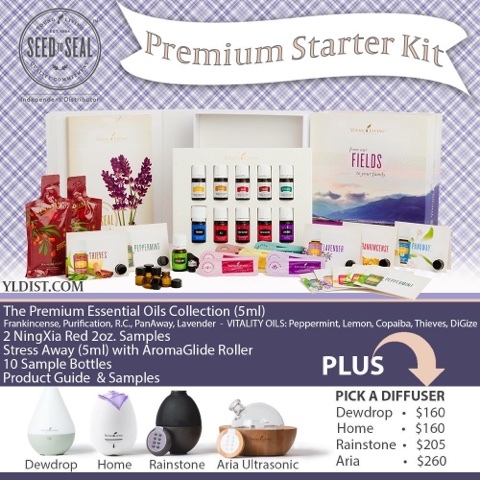 You can get a bottle free with a Premium Starter Kit this month, jump on it quickly! It works with HE and traditional washers. You need to get some of this! 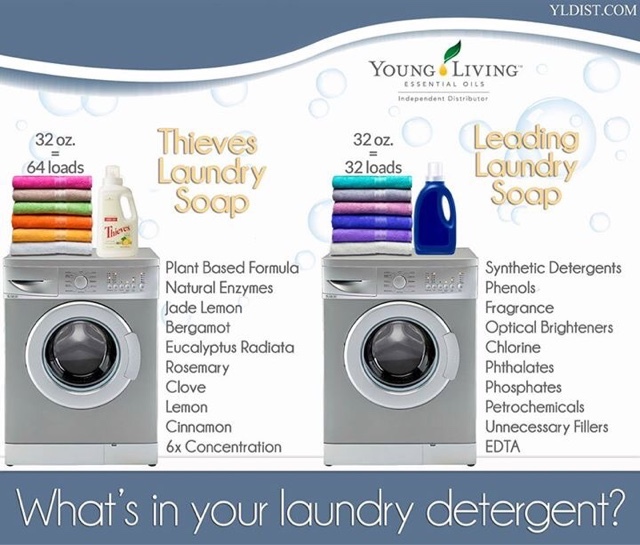 *Get your free Thieves Laundry Soap with the purchase of a Premium Starter Kit in September. Get yours with my referral link today!